I could read these words for all eternity and, still fail to grasp how this could be possible. Granted 1974 scouting networks weren’t what they are now but, Les Taylor’s subsequent sixteen year playing career – including four seasons at the top – is more than most of us can even wish for. Like Eric Steele, Les Taylor began his career at one of the country’s hotbeds of footballing talent; the Wallsend Boys Club. 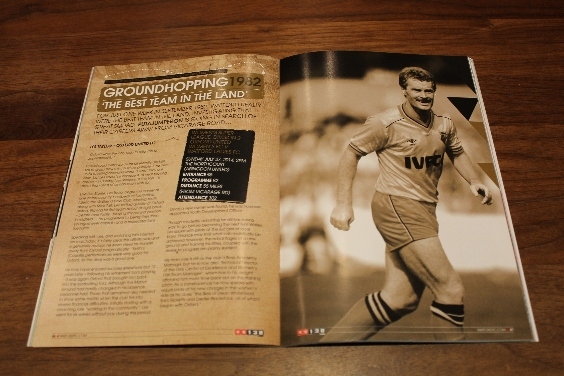 Moving south along with Mick Tait, Les settled quickly at Oxford United. Playing his first team debut at right back – before eventually “playing my natural position in midfield” – he progressed to being their then youngest ever captain and, a respected fans’ favourite. 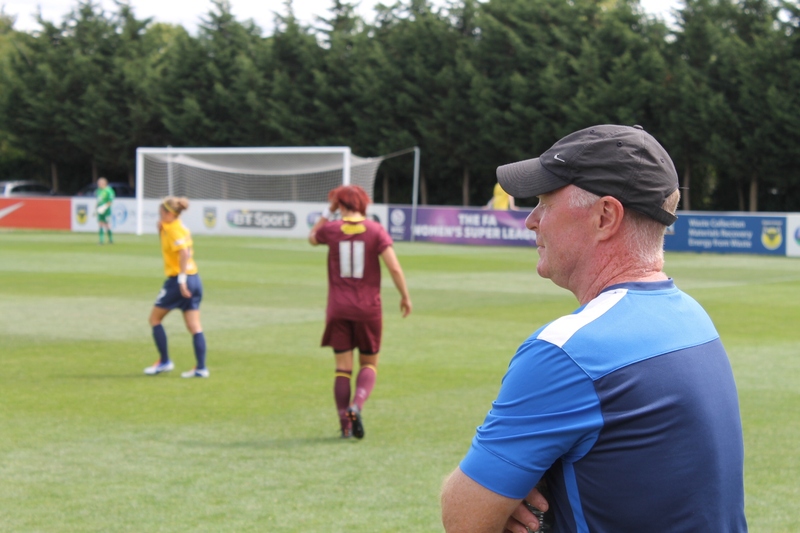 Speaking with Les, and watching him interact on matchday, it’s fairly clear this affinity was and is genuinely mutual; he even views his transfer away from Oxford pragmatically, “Keith’s [Cassells] performances were very good for Oxford, so the deal was a good one”. He may have enjoyed success elsewhere but twelve years later – following his retirement from playing – it was again Oxford that brought him back into the footballing fold. Although the Manor Ground had hardly changed in his absence, personnel had. Those that remained also needed to show some mettle when the club fell into severe financial difficulties. Initially starting with a coaching role “working in the community”, Les went for six weeks without pay during this period. Once a new owner was found, he was however appointed Youth Development Officer. Though modestly admitting he still has a long way to go before becoming the next Tom Walley, Les spoke with pride at the success of local boys. 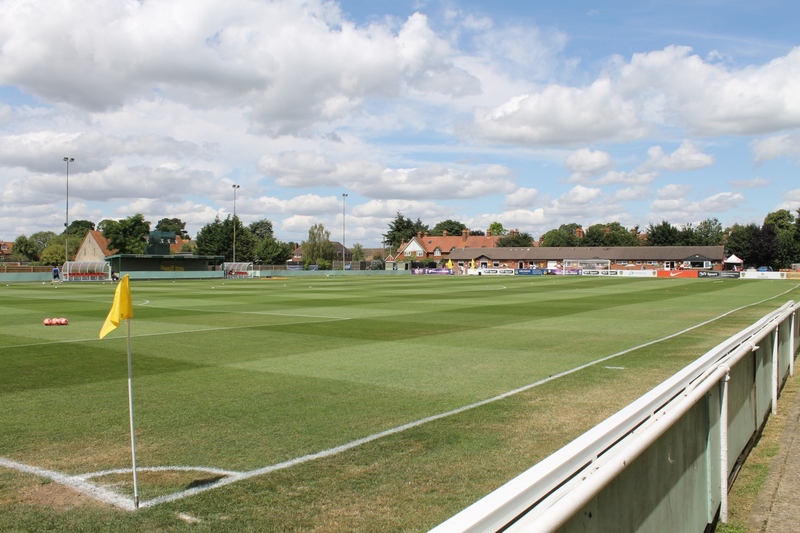 Finance may limit what can realistically be achieved however; the advantages of a new ground and training facilities, coupled with the desire to progress are plainly evident. His main role is still as the club’s Boys Academy Manager but he is now also “Technical Director of the Girls Centre of Excellence and Women’s first team Manager.” which has to his delight afforded him more time back out on the training pitch. As a consequence he now speaks with equal pride of his knew charges in the Women’s side as he does “the likes of Dean Whitehead, Sam Ricketts and Dexter Blackstock, all of whom began with Oxford”. Arriving at the impressive facilities of The Northcourt early, local resident Les was already busying himself for matchday. Switching seamlessly between genial host and efficient tactician, no questions were turned down, no duties left undone. Both before kick-off and after the final whistle, Les and his staff assisted in another “Fan Experience Day”. 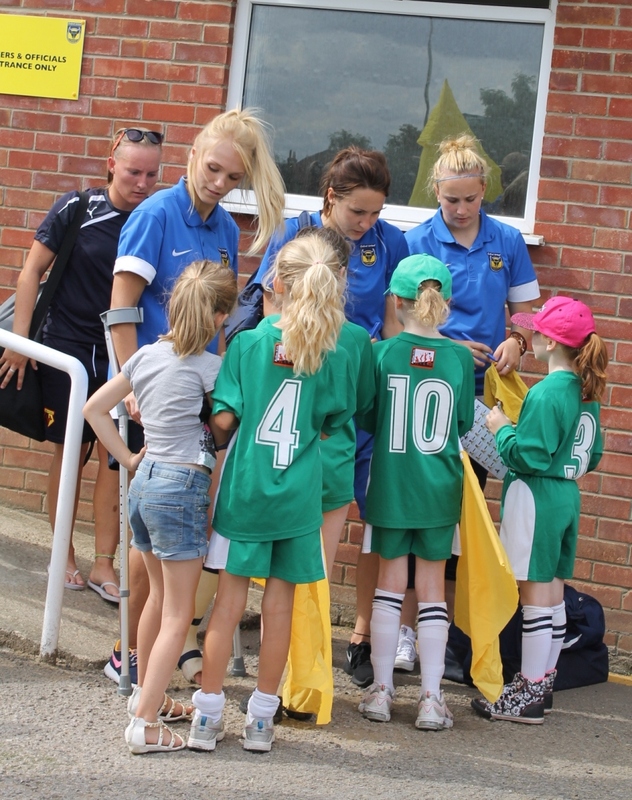 This wonderful initiative sees local junior sides invited to games, for tours and coaching, to meet the players and be ball girls. Standing near Kidlington U10s – watching them clamour for autographs afterwards – it was clear the knock-on effect could be huge for United. Following an intense warm up, on a fantastic surface, Oxford got off on good footing. Winning the toss, for the first fifteen minutes they didn’t look overawed by the strong Watford opposition; United survived a early mix-up in defence and even pressured the visitors from corners. 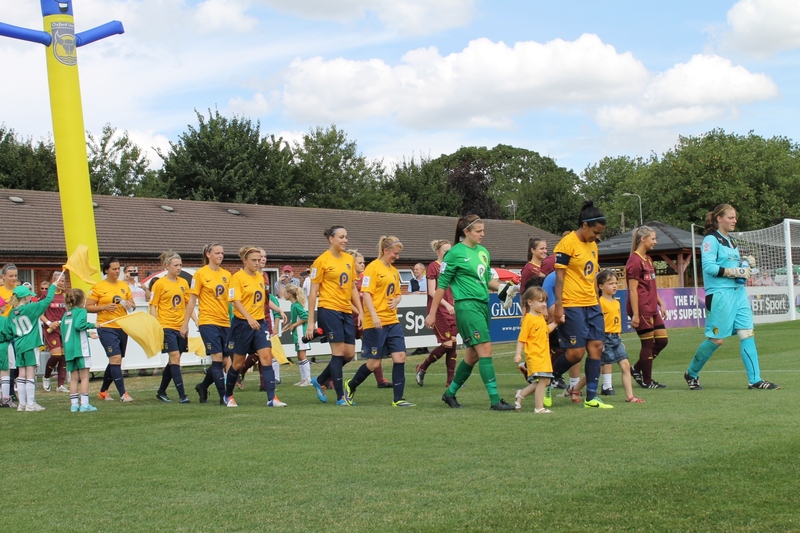 Going one up on the quarter hour however – Stacie Donnelly just getting a touch and lobbing the onrushing keeper, Demi Lambourne – the visitors, like their fans, seemed always on top. Though Les had expressed pleasure they’d be at the game, once the buoyant 1881 had perched themselves under the covered terrace between the dugouts, it was clear making himself heard above the din might be problematic. That said, Oxford were extremely unlucky to concede a second just prior to the interval. Lambourne beat out Jo Wilson’s first strike but once Kate Natkiel fed her the rebound, she made no mistake the second time around. After the break, the game became much more open and even. Until the dying moments Watford would only have a couple of shots; both brilliantly tipped over by Lambourne. Up the other end, Lauren Davey also had to be right on top of her game. Strong in her area for much of the afternoon, she required even more agility to keep Oxford at bay. “Graham Taylor was and still is a major influence on how I manage. They are certain ideals/standards that he had which I like to incorporate. I also still use his set-plays for the women’s team.” he’d informed me. Whatever he said, clearly both Les’ influence and experience over the halftime oranges worked well. Their movement improved and openings appeared. 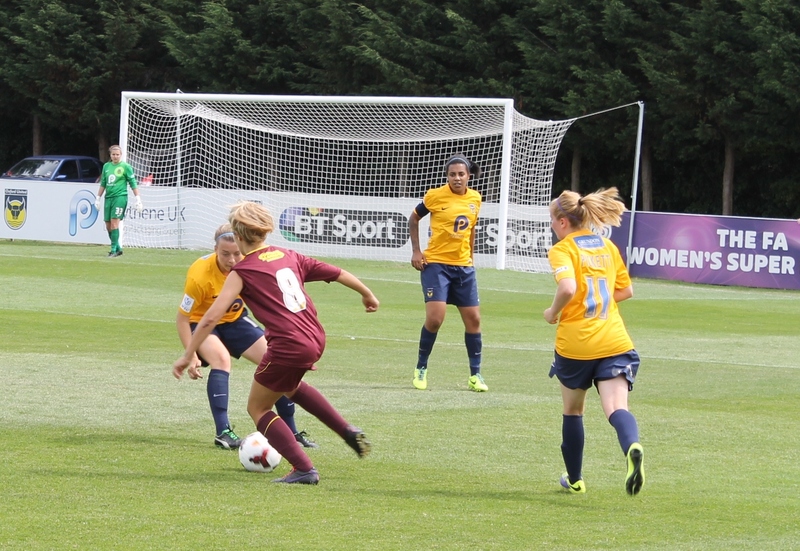 Showing it may be possible early on, captain Sahara Osbourne-Ricketts’ pass deftly split the Watford midfield towards sub Louise Fellows but, Chloe Gunn’s last ditch interception was equally precise. Fellows may have missed out that time however just minutes later she’d found space and rifled a low drive to Davey’s right. At 1-2 you’d have been forgiven for thinking they could have easily gone on to save the game; sadly this was not to be. There were reckless challenges and deserved bookings for both sides, but in the main this was an entertaining encounter with many positives. 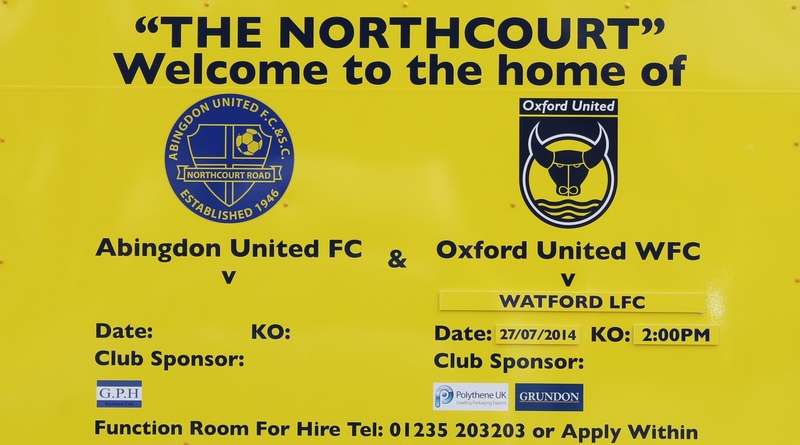 If Helen King had scored at the death, it would also have had a fairytale ending for Oxford. 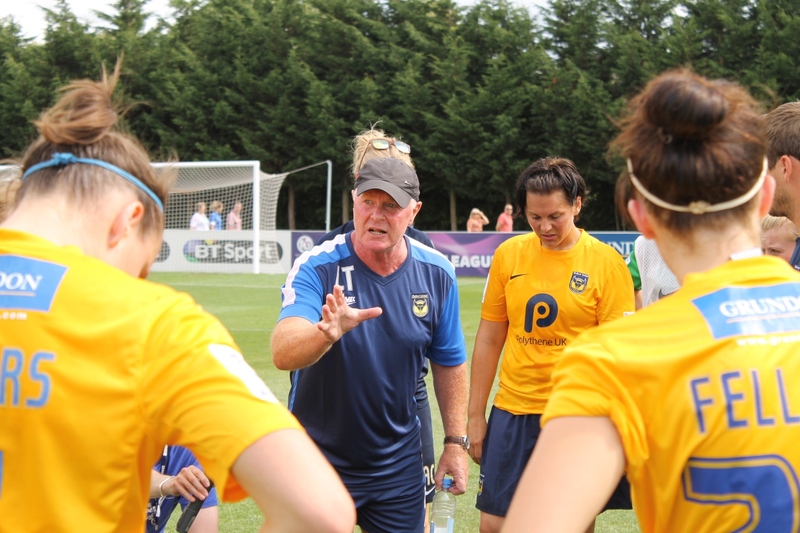 Of course Les would like to see success come sooner but, there is a clear understanding that the Oxford Women’s team is a long term project. Following three promotions in three years, I heard how they’d become “used to winning” but were, despite creating chances, struggling to find form against tough opposition. Forming a good stable backbone Oxford have Osbourne-Ricketts, Kat Nutman and Jemma Connor-Iommi; they also have exciting prospects in Rosie Lane, Laura Nichol, Chloe Bruce and Ella Franklin-Fraiture coming through. It may not always be the case however, thankfully this season – with no relegation from the division – Oxford are afforded a Super League grace period. Les Taylor may be their humble custodian of this current crop but, whilst he is determinedly at the helm, the mutual loyalty ensures the future of Oxford Women looks decidedly bright. And if the words of his parents, fans and colleagues are anything to go by, there is much support for what he and the club are trying to achieve. 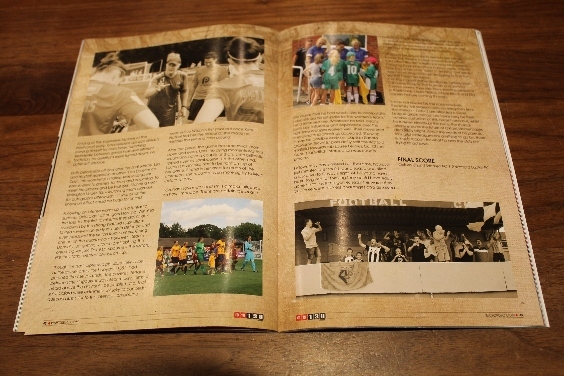 This entry was posted in #WFC1982, 2014-2015, Women's Football, Women’s Super League and tagged #WFC1982, 1881, Abingdon United FC, Graham Taylor, Les Taylor, Northcourt, Oxford United, Oxford United Women’s FC, Watford FC, Watford Ladies FC, Women’s Super League. Bookmark the permalink.